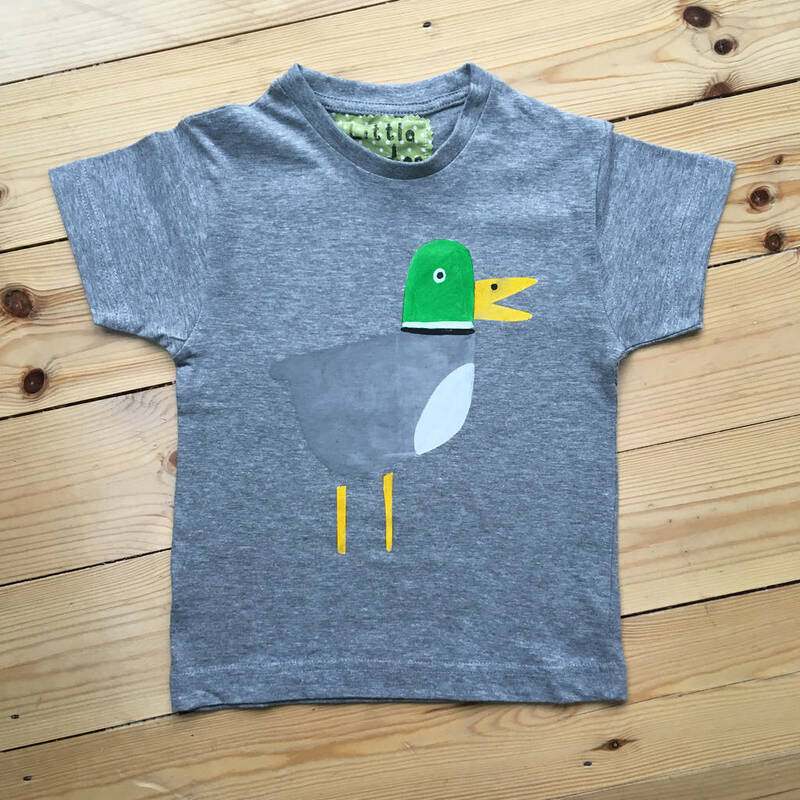 Children's Handprinted Duck T-Shirt. A funky children's top with Daddy Duck print on a grey marl t shirt. We have a wide range of animal print t shirts in funky bright colours as well as long-sleeved options, please see sellers 'complete range' on the right. 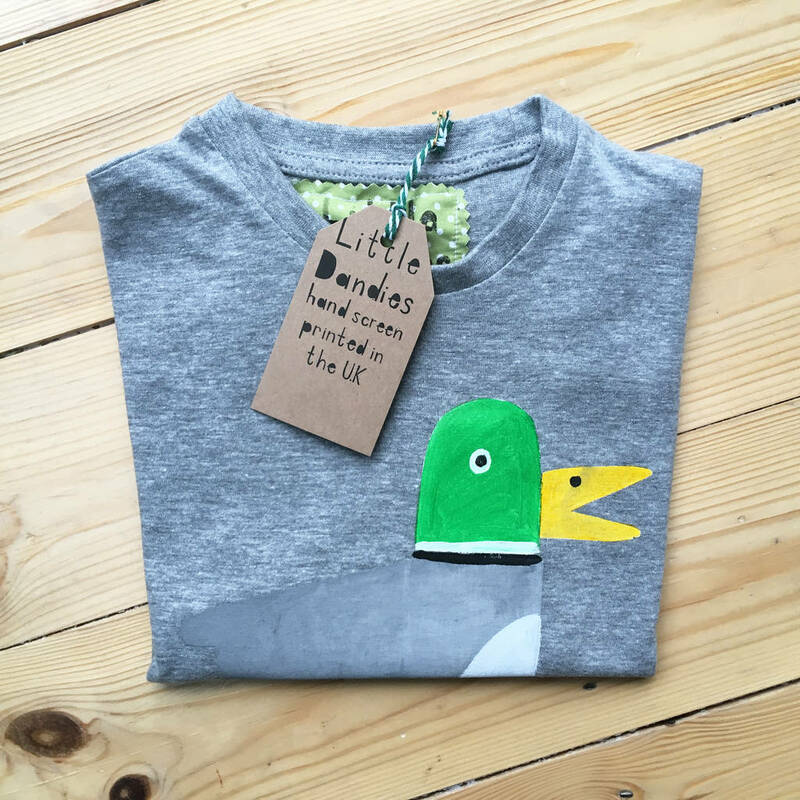 All our animal child's t shirts are hand-printed by us in the UK, every one is unique and special. Great boys present.